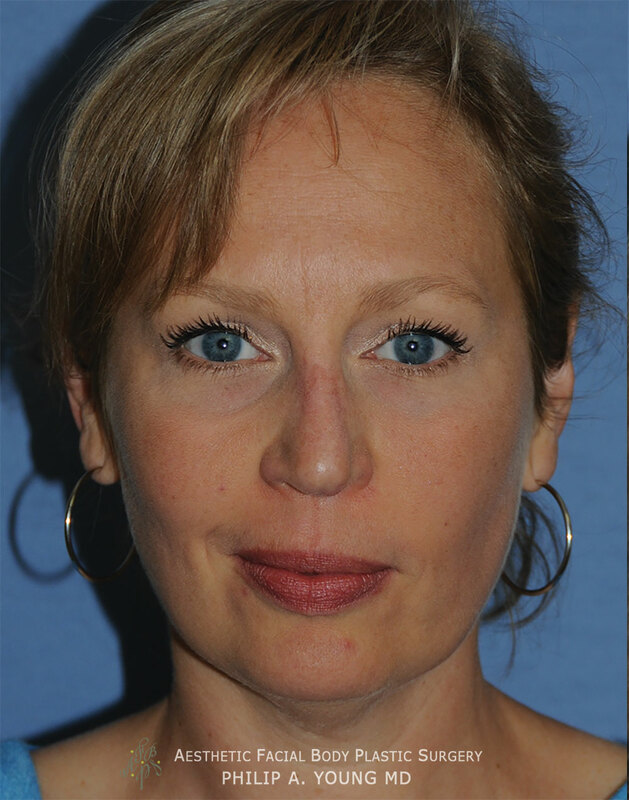 Dr. Young will present some before and after pictures on the subject of Revision Rhinoplasty and discuss some case specifics. We want the best for you and will do everything to help you with your situation! 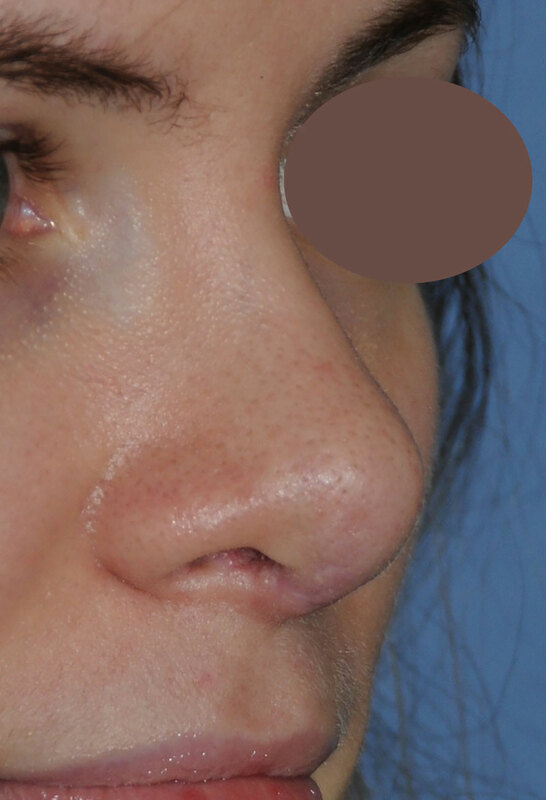 Rhinoplasty, to begin with, is the hardest and most technically demanding procedure that a plastic surgeon encounters in his | her career. 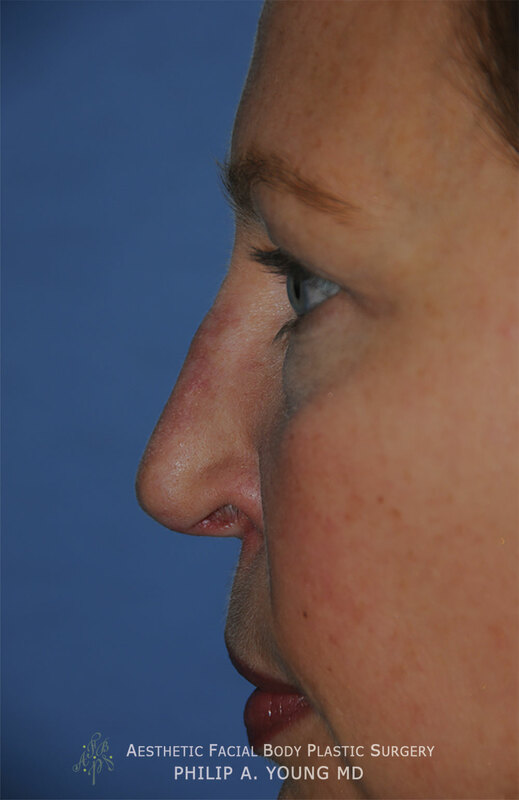 With Secondary, Tertiary, etc revision rhinoplasty, the level of difficulty is even greater. 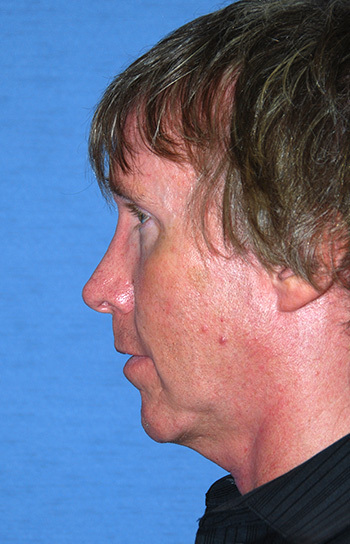 In revisions, you have scar tissue that can hinder the procedure from start to finish. Also the amount of material left to work with is usually much less. Hence, the possibility of needing cartilage tissue from your ears or ribs is greater during revisions. Implants such as silicone, medpor, cadaveric cartilage, polyethylene are some more popular alternatives over your own tissues. These alternatives are more attractive to some people who do not wish to have cartilage taken from their ears or ribs. 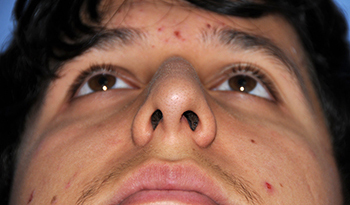 Sometimes the best way to illustrate your ideas are through Nose Revision Rhinoplasty case presentations | studies. 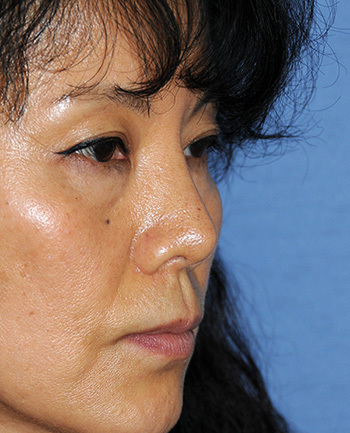 Below is a lady who had an implant placed in Korea. 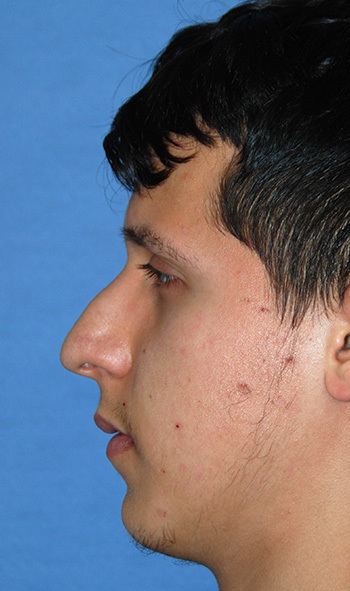 This implant began to fight with the body and began to extrude from the tip of the nose. This case was extremely difficult. The implant had eroded through her skin and had severly damaged her underlying cartilages. 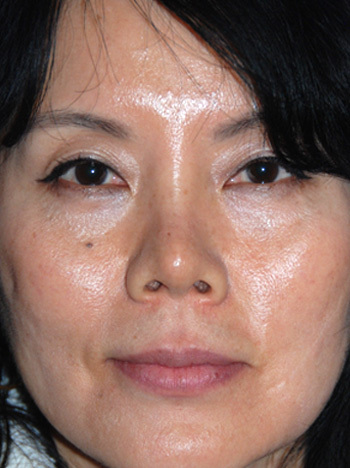 With Asian noses inherently, many times, having weaker cartilages and structure, we knew that this rhinoplasty would require a “reconstructive effort” or Reconstructive Rhinoplasty. We would have to totally put the nose back together and also build it up in the process. The options included using a rib graft by itself, or using a combination of ear cartilage / temple fascia (tissue covering the temporalis muscle) / and medpor implant for the tip, or using solely medpor / silicone implants. 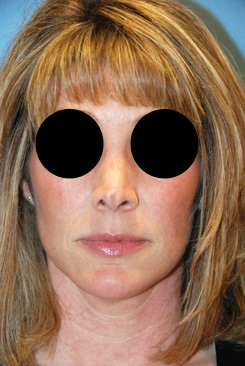 Given that she had problems with the silicone implant, the option of all implants was not a great idea for her. Harvesting rib was also not on the top of her list and neither was this option top of mine. The option of using a combination of ear cartilage (likely both sides), temporalis fascia, and medpor sheets to present the natural tip cartilages was planned. 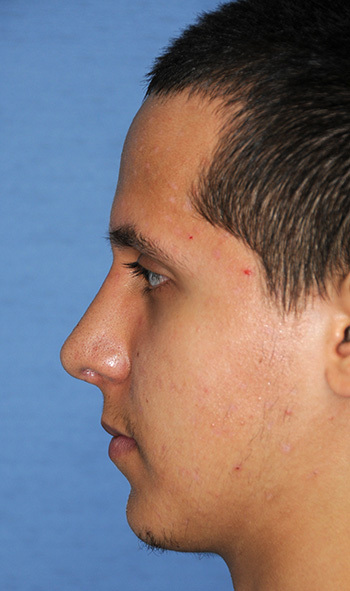 The use of Medpor in Asian Rhinoplasty is explained in this: Asian Rhinoplasty. Our plan was to take out the implant first and give the nose some time to rest. This 2 step process would allow us to avoid infections by placing cartilage or another implant in the nose in the setting of the implant extrusion, which is considered an infection prone nose. After waiting 2 weeks, we would then carry out the definitive revision. Our plan was to take both ear cartilages and mince most of this cartilage into small pieces and then place them in a fascial blanket shaped into a nasal bridge. 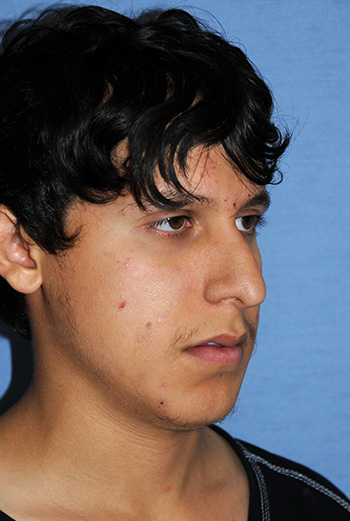 This natural implant was then placed in the dorsum. The tip cartilages would be advanced. We would further need to place some more cartilage on the sides of the tip and on the tip itself to increase the height. 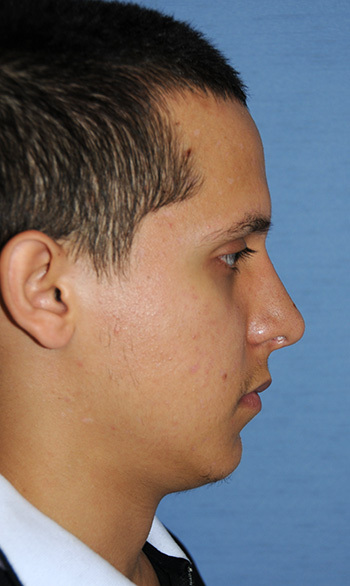 The above Revision Rhinoplasty pictures were taken at one month. We will have more pictures in the near future when she comes back. Her swelling will go down more and her tip and bridge will become more refined with time. The scar on the tip of her nose will also get better with time. We will consider a scar revision procedure in the future as a possibility of further improving the tip area where the implant came out through the skin. The patient was extremely happy at this point of the recovery. We were also thrilled with the results! 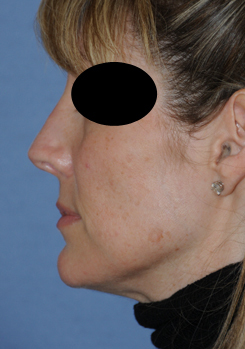 Again these after pictures were taken only just a month after the procedure. 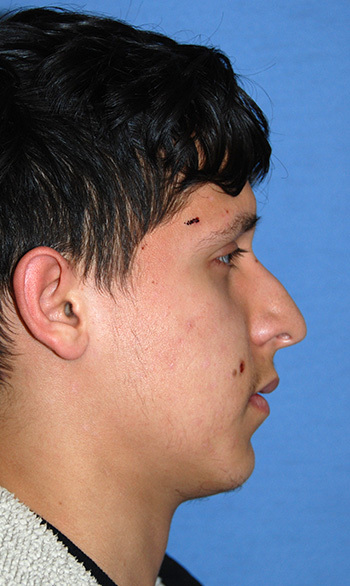 We will continue to update this Nose Rhinoplasty Surgery Revision for you to follow. 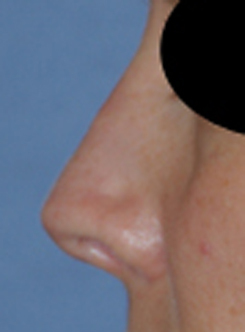 Before Rhinoplasty Revision to correct a Silicone Implant Extrusion Through The Tip of the Nose that was done in Korea Oblique View. After Rhinoplasty Revision to correct a Silicone Implant Extrusion Through The Tip of the Nose that was done in Korea Oblique View. 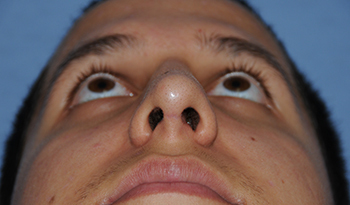 Before Rhinoplasty Revision to correct a Silicone Implant Extrusion Through The Tip of the Nose that was done in Korea View From Below. After Rhinoplasty Revision to correct a Silicone Implant Extrusion Through The Tip of the Nose that was done in Korea View From Below. 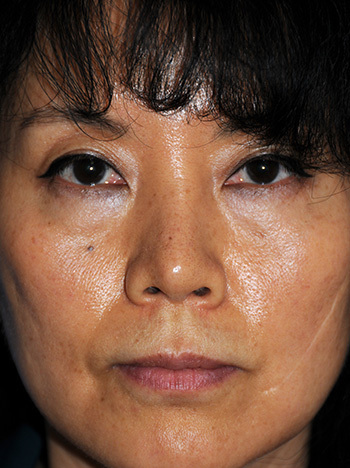 Before Rhinoplasty Revision to correct a Silicone Implant Extrusion Through The Tip of the Nose that was done in Korea Close Up from the Front. 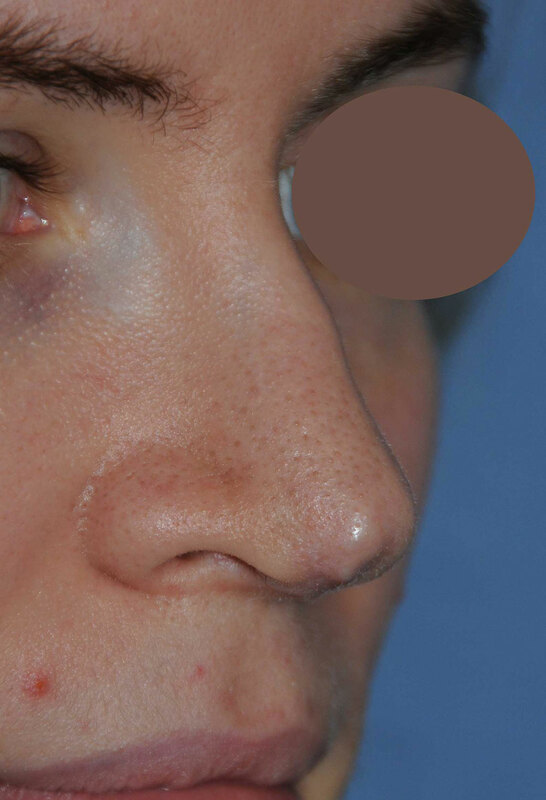 After Rhinoplasty Revision to correct a Silicone Implant Extrusion Through The Tip of the Nose that was done in Korea Close Up from the Front. 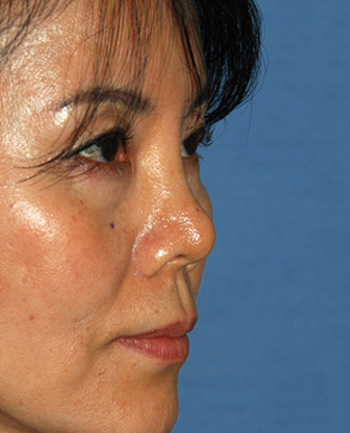 Before Rhinoplasty Revision to correct a Silicone Implant Extrusion Through The Tip of the Nose that was done in Korea Side View. 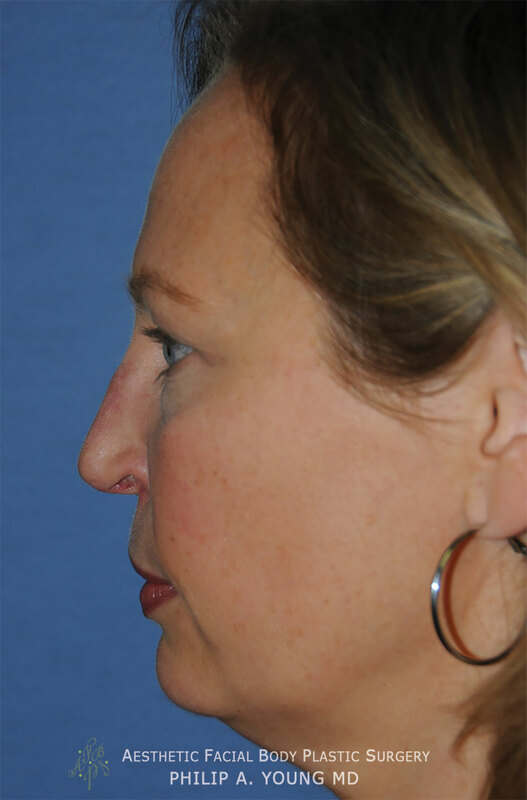 After Rhinoplasty Revision to correct a Silicone Implant Extrusion Through The Tip of the Nose that was done in Korea Side View. 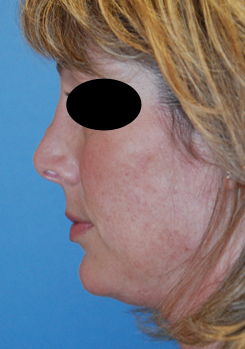 The next case involves a lady that had a rhinoplasty before and was interested in Secondary Revision Rhinoplasty. She was not happy that her nostrils showed a “snarling” type of appearance. Her nostrils flared upwards. 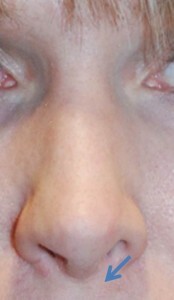 She also felt that her nostrils on the sides were too high and wanted them lowered. We mentioned the different options of lowering the nostrils on the sides. Most of the time, it entails using tissue from somewhere else to make the nostril rim come down. You can advance tissue, add some cartilage and skin from the ear to the inside, add cartilage along the rim of the nostril to pull it down. 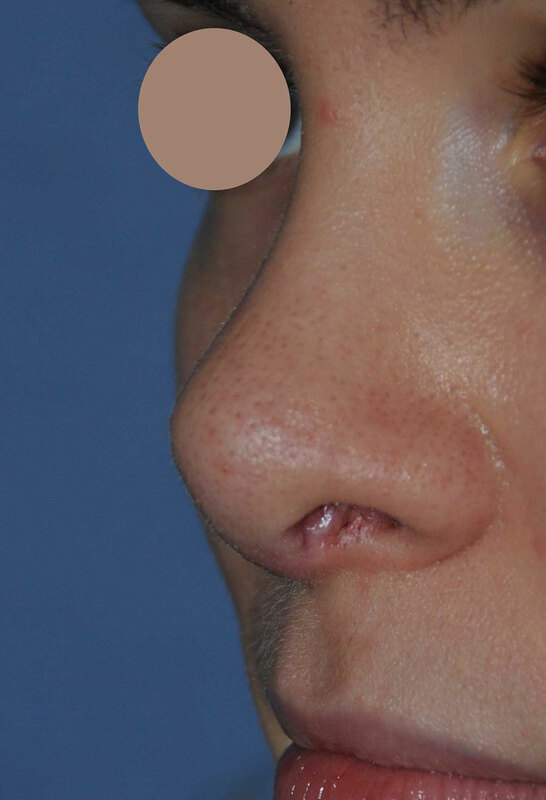 In this next 2 Revision Rhinoplasty Before and After photos the blue shape in the one on the left indicates where you would put a cartilage graft within the nostril, hidden through an incision inside the nose. 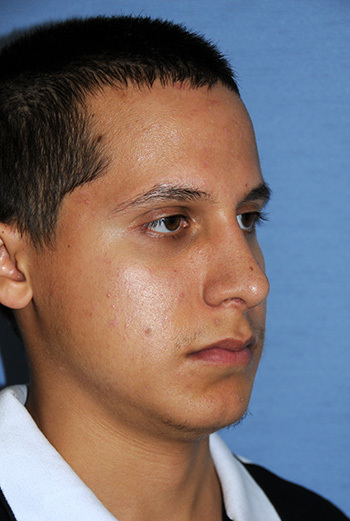 This cartilage graft can come from the septum or ear cartilage. This is good for less severe cases. 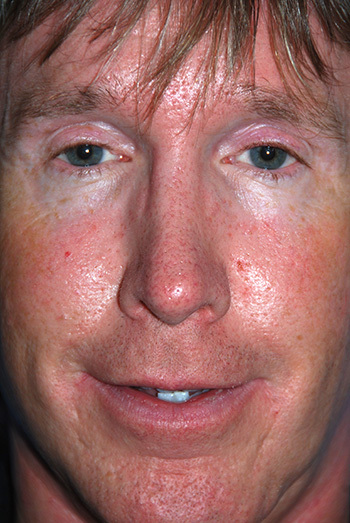 When the retraction of the nostril rim is more severe, you can use composite grafts, or grafts that have skin and cartilage. We usually take these composite grafts from the ear in a well hidden incision. 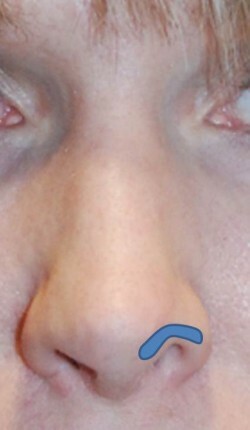 In the photo on the right the blue shape indicates where you would advance tissue from within the nose to lower the nostril rim. This is called a V-Y advancement. 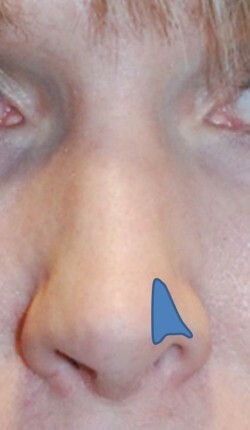 In this next photo the blue arrow show our plan to advance the nostril rim to lower the whole nose on the side. This will help the retraction even more. 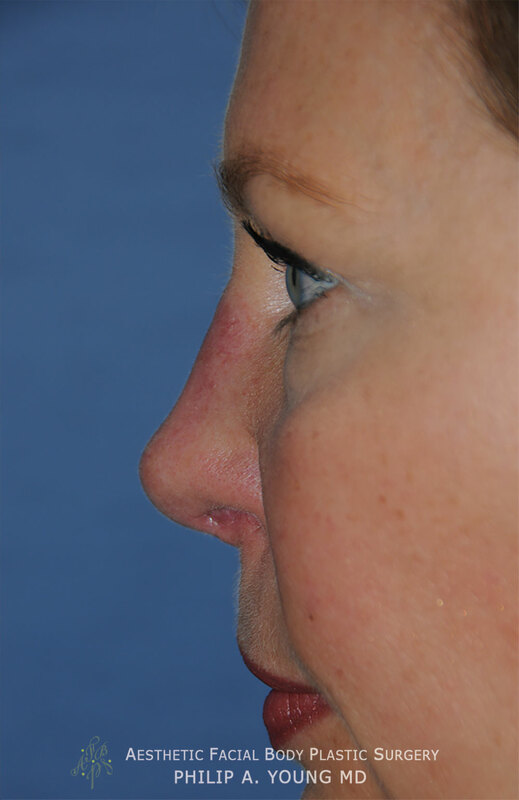 This was caused by liberal resection of tissue on the side of the nostril which is often used to narrow the width of the nose in this area. 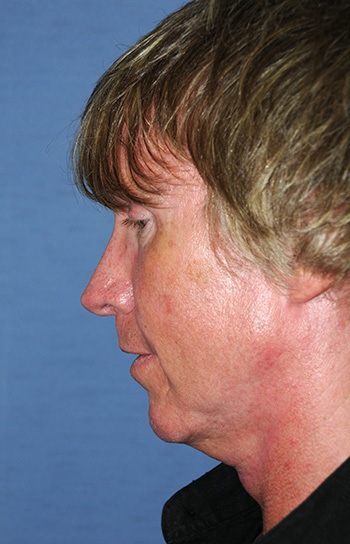 The procedure to narrow the nose in this area is often called a wier excision. 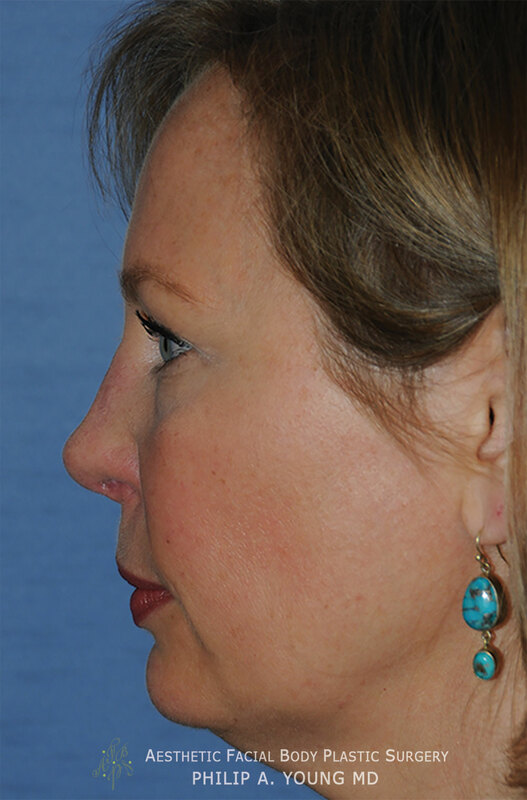 We are reversing the wier excision to a degree by advancing the nostril rim completely downward. 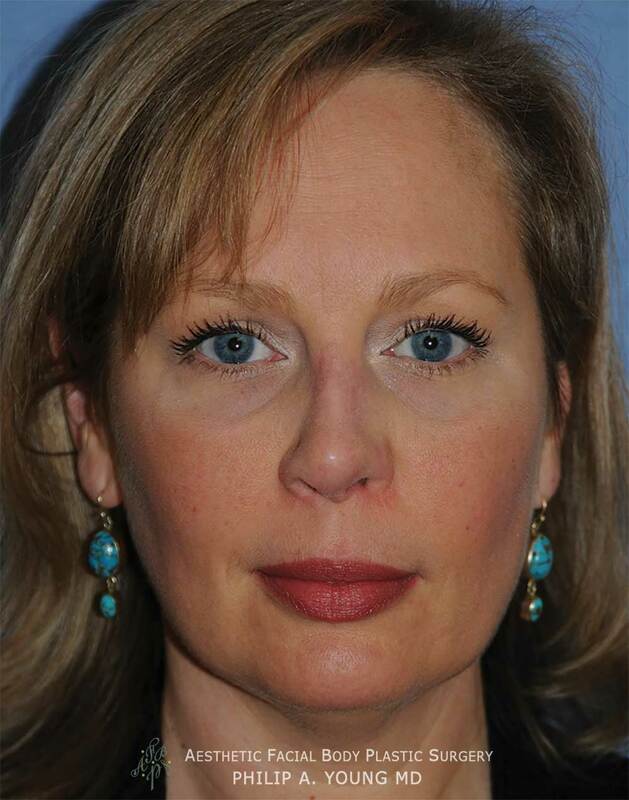 The below pictures are some before and afters to show the results from doing the composite grafts to the nostril rim and the advancing / lowering of the nostril side tissue inferiorly to help decrease the retraction. 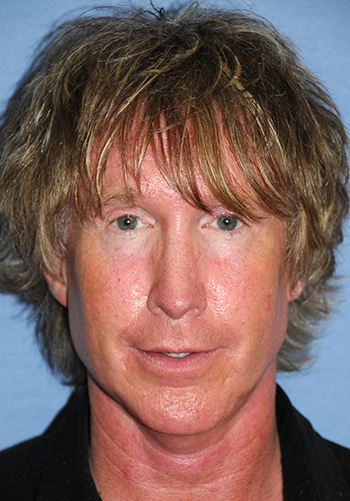 "Dr. Young is a very talented plastic surgeon and wonderful person. He went above and beyond in not only being understanding about my situation, but also making sure he had a clear idea of what I wanted. The results are better than I ever could have expected. 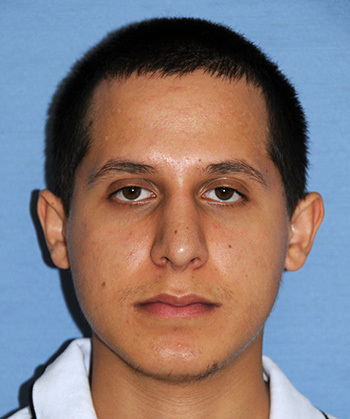 I am incredibly grateful to him and his amazing staff and would absolutely recommend him to anyone." - 20's Caucasian Female from the Eastside Area. 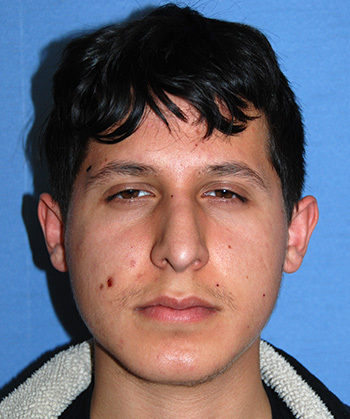 Before Revision Rhinoplasty for Droopy Tip, Tip Irregularities, Nasal Bridge Bump, Narrowed Right more than Left Nasal Airway, Collapsing Nostrils, and Crooked Nose. Before Revision Rhinoplasty for Droopy Tip, Tip Irregularities, Nasal Bridge Bump, Narrowed Right more than Left Nasal Airway, Collapsing Nostrils, and Crooked Nose Left Oblique View. 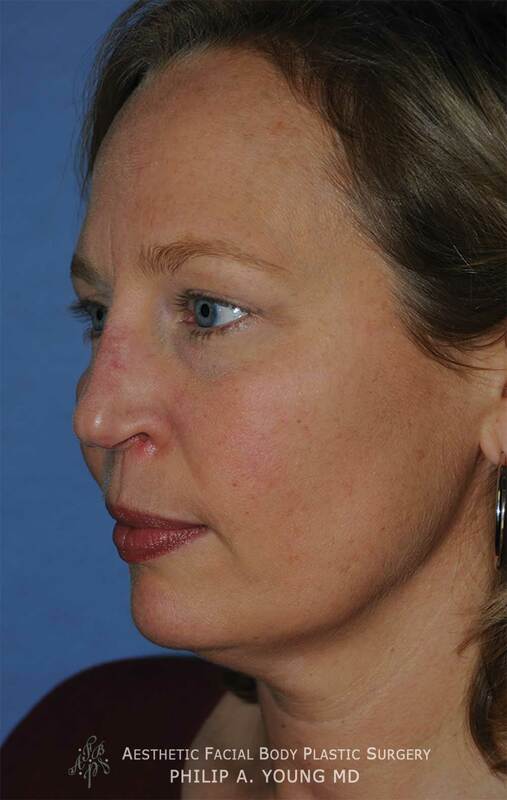 Before Revision Rhinoplasty for Droopy Tip, Tip Irregularities, Nasal Bridge Bump, Narrowed Right more than Left Nasal Airway, Collapsing Nostrils, and Crooked Nose Right Oblique View. 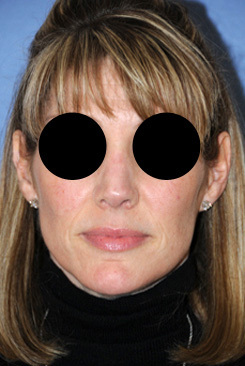 The person below had multiple previous rhinoplasties. She was told that she could not have any improvement. 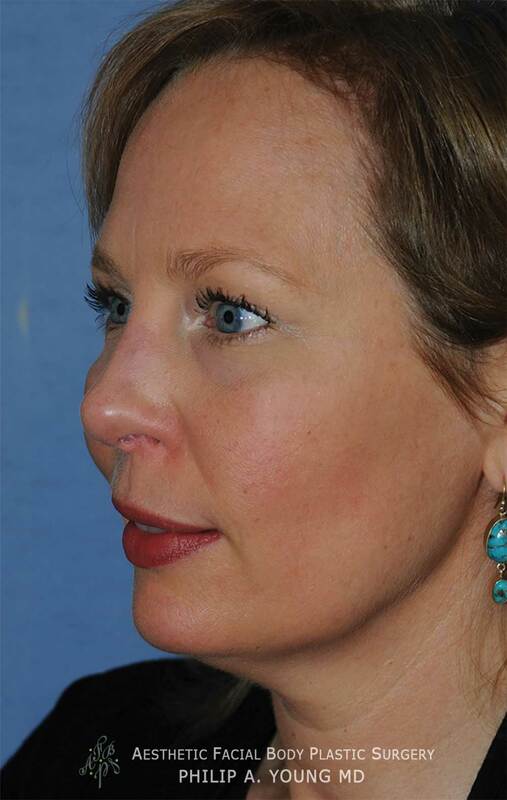 She didn't like her droopy nose tip, the bumps on her nose bridge up higher, the bulbous tip, and how it looked crooked. 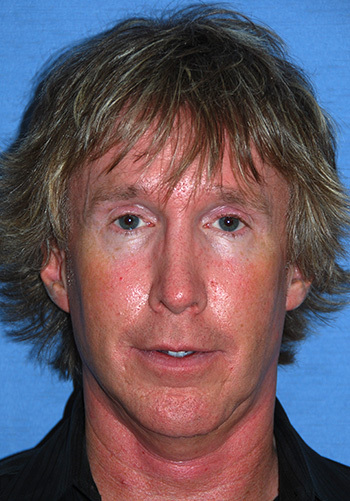 "I had an amazing experience with Dr. Young and his entire staff. 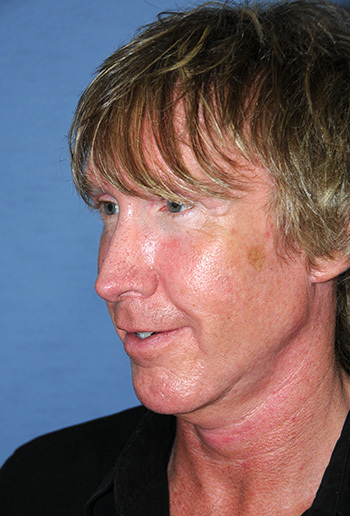 I chose Dr. Young because I had a reconstructive nose job that was going to be really challenging and during our initial meeting, he laid out all of the potential risks while also showing me how he could make my very unattractive, not well functioning nose more functional and more attractive with the limited tissue he had to work with. He was practical, personable and clearly knew what he was doing. 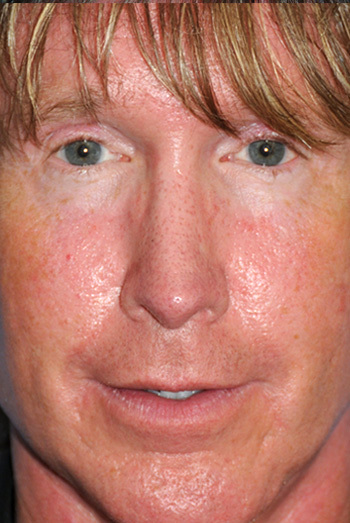 I appreciated that he took so much time "morphing" me a new nose to review. After the surgery, I experienced amazing after-care. The nursing team, Julie, and Dr. Young were amazing. They really want you to look good, feel good and be happy with your results. My case was fairly intense. I had tissue harvested from both of my ears to help rebuild by nose, so I was in the office quit a bit after my procedure. They really wanted to make sure there was no infection and that everything was healing properly. I've never experienced after-care to that degree. 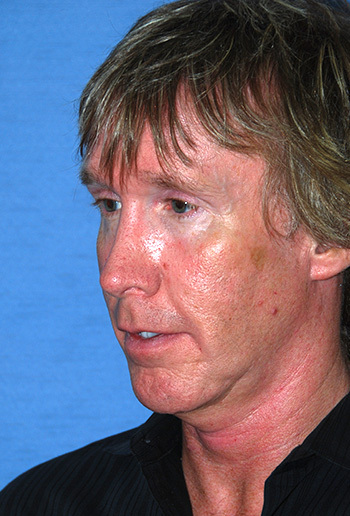 If you choose Dr. Young, expect to play a huge role in your healing and recovery. There is a lot of work involved in making sure you heal well, and they make sure you do the work! Great team, comfortable environment, Dr Young is exceptional. I'm so pleased. Thank you!" 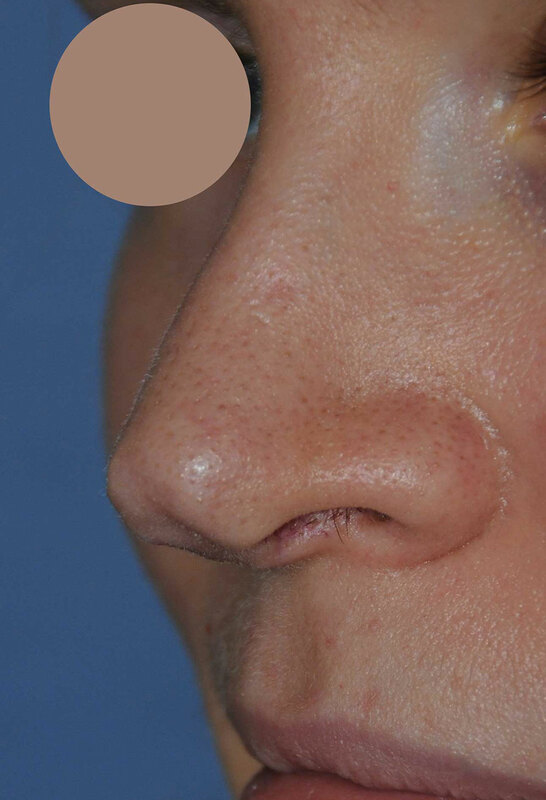 Before Revision Rhinoplasty for Crooked Tip, Crooked Nasal Bridge, Nose Bridge Dorsal Irregularities, Hook & Droopy Nasal Tip, Retracted Alae Nostrils. After Revision Rhinoplasty for Crooked Tip, Crooked Nasal Bridge, Nose Bridge Dorsal Irregularities, Hook & Droopy Nasal Tip, Retracted Alae Nostrils. 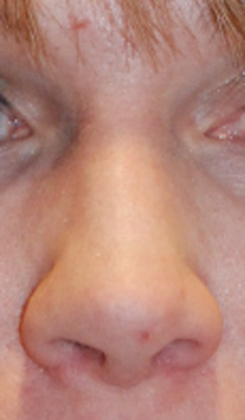 Before Revision Rhinoplasty for Crooked Tip, Crooked Nasal Bridge, Nose Bridge Dorsal Irregularities, Hook & Droopy Nasal Tip, Retracted Alae Nostrils Left Oblique View. After Revision Rhinoplasty for Crooked Tip, Crooked Nasal Bridge, Nose Bridge Dorsal Irregularities, Hook & Droopy Nasal Tip, Retracted Alae Nostrils Left Oblique View. Before Revision Rhinoplasty for Crooked Tip, Crooked Nasal Bridge, Nose Bridge Dorsal Irregularities, Hook & Droopy Nasal Tip, Retracted Alae Nostrils Left Side View. After Revision Rhinoplasty for Crooked Tip, Crooked Nasal Bridge, Nose Bridge Dorsal Irregularities, Hook & Droopy Nasal Tip, Retracted Alae Nostrils Left Side View. 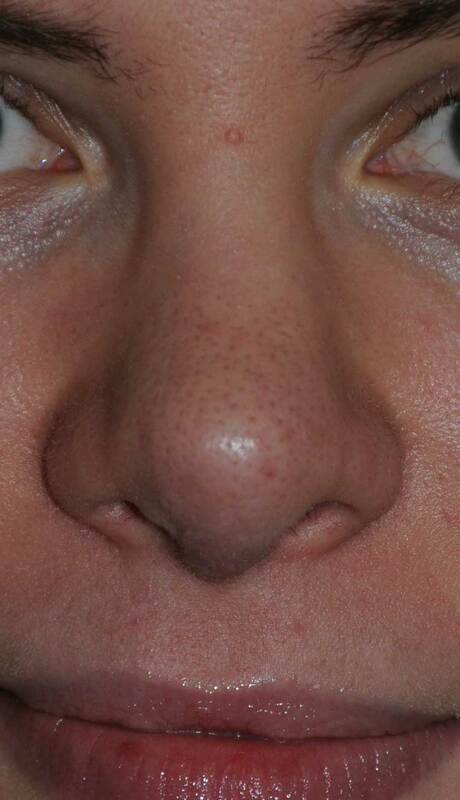 Before Revision Rhinoplasty for Crooked Tip, Crooked Nasal Bridge, Nose Bridge Dorsal Irregularities, Hook & Droopy Nasal Tip, Retracted Alae Nostrils Left Side Close Up View. After Revision Rhinoplasty for Crooked Tip, Crooked Nasal Bridge, Nose Bridge Dorsal Irregularities, Hook & Droopy Nasal Tip, Retracted Alae Nostrils Left Side Close Up View.